� South America � Known for their festive Carnival, Brazil also yields a third of the world�s sugarcane. An indulging scoop of this can be found in the Organic Sugar Scrub Pedicure. � Africa � The Soma incorporates ancient Egyptian forms of reflexology, as Egypt is credited as one of the most prominent cultures to perform this ancient art, which is depicted in their hieroglyphics. 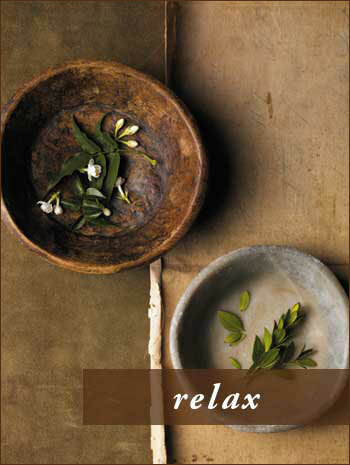 The restorative Shirodhara Scalp Massage gives this therapy a taste of India. � Asia � The Chakra Aromatherapy Massage, which has roots in Ayurvedic tradition, enlists Marma point (a.k.a. pressure point) relaxation and balancing techniques include the use of chakra stones that are just the start of this profound ritual. � Europe � Travelers conclude their journey with The Soothing Facial to enjoy the finest, organically grown, certified essential oils from around the world, which achieve a calming effect on the skin. Few of us need a crash course in how to enjoy a quality spa treatment, but even fewer of us are aware of the rich cultural origins of the spa rituals we so commonly enjoy. The origin of spa dates back to Roman era, when Italian armies fatigued by wars would �take the waters� to rejuvenate, relax and treat wounds. In fact, the oldest medical book in existence�written in China in approximately 1000 BC�makes reference to the use of massage as a treatment for disease. The Woodhouse Day Spas�the country�s premier day spa franchise with 23 locations nationally�is slated to launch the International Spa Tour, a series of rejuvenating spa services that take each guest through the ancient rituals that they originated from. The treatments are accompanied by a series of digital videos, hosted on the Woodhouse Web site and released each week on the company�s social media sites. Visit: www.woodhousespas.com. If you are looking for a great value this summer, check out the �Summer Resort Credit� special that is being offered by Chateau on the Lake Resort & Spa in Missouri. Guests staying at the Ozark mountaintop, lakefront resort for three nights or more, Sunday through Thursday nights through September 2, 2010, can receive up to a $120 resort credit. The resort credit can be used for spa or salon services at the resort�s world-class Spa Chateau; food at the resort�s elegant Chateau Grille, casual Downstairs Deli, picturesque Atrium Caf� & Wine Bar, and The Sweet Shoppe offering ice cream and baked goods; and for non-alcoholic beverages. 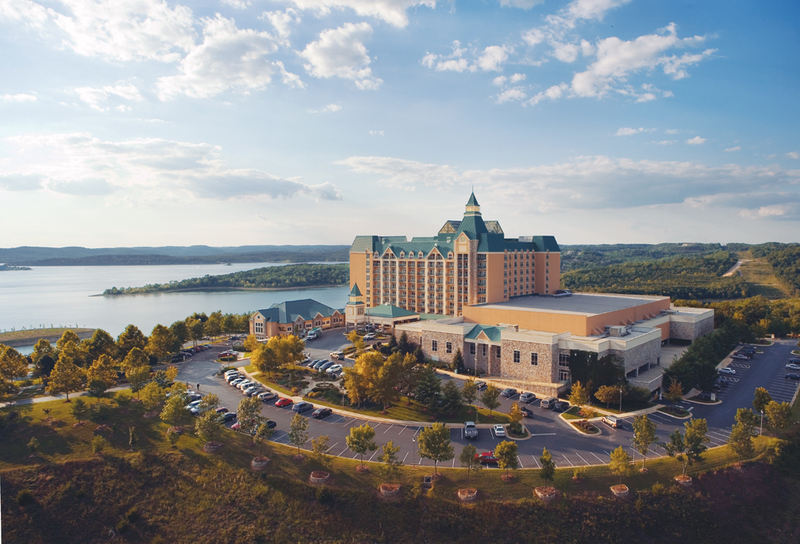 Featuring a truly picturesque setting on an Ozark mountaintop overlooking scenic Table Rock Lake, the AAA Four-Diamond resort offers the best of both worlds � a wonderful resort experience, as well as a location convenient to the many popular attractions and shows of Branson. The resort credit varies with accommodation type. Guests staying in a Lakefront Ambassador Suite can receive a $40 credit per night. Guests in a Mountain Ambassador Suite can receive a $35 credit per night. Those in a Lakefront Chateau King can receive at $30 credit per night. Guests in a Lake View King or Double Room can receive a $25 credit per night. Those in a Mountain View King or Double Room can receive a $20 credit per night. The offer is not valid with discounted rates or packages, applies to new reservations only, and is not valid for group bookings. There is a maximum of a $120 resort credit per stay. The credit cannot be applied against taxes, gratuities, service fees or room rates, and it has no cash value, and is not refundable for unused amounts. For reservations or for more information, call 1-888-333-LAKE (5253) or (417) 334-1161, or visit www.ChateauOnTheLake.com . Sweeten your home and embrace your inner child with Aroma Home products, fun and high quality gift products that bring well-being and mood enhancing senses to daily life. Leading aromatherapy home accessory company, Aroma Home USA, is announcing their innovative new lineup of superior quality products. From Hot Body Wraps and Feet Warmers to Fuzzy Friends Slippers, Aroma Home products are high quality gifts that enhance the senses and foster comfort and relaxation. They are available locally at Jane Home in Ventura.